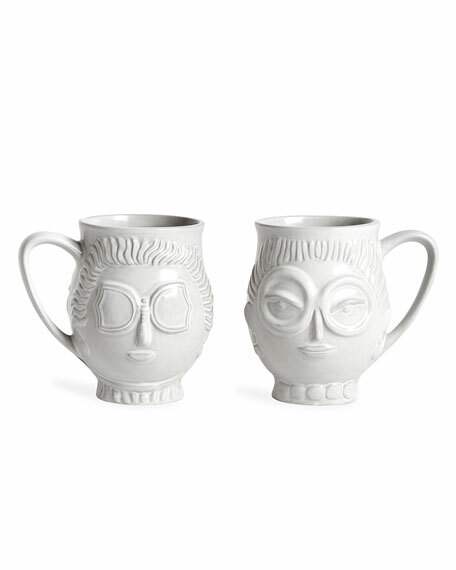 Take a sip from style with our Utopia Eye-Con Mugs. 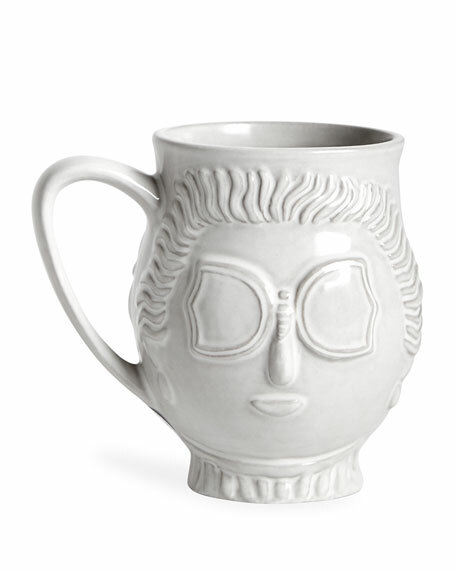 Inspired by our favorite fashionable four-eyes, each mug features a pair of pretty faces known for iconic eyewear. Makes a great gift for your friend who just got Lasik. 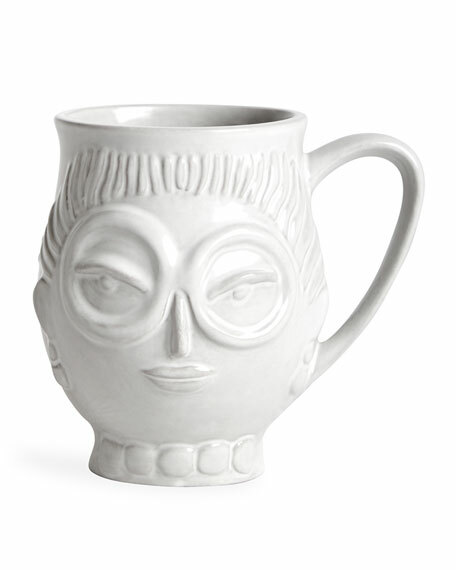 High-fired stoneware coffee mug with sheer white glaze. 4.8"W x 3.8"D x 4.8"T.
About this collection:Our Utopia Collection is a playfully chic universe of vases, vessels, and objects. Each piece starts its journey in our Soho pottery studio where Jonathan and his team hand-sculpt the original model in clay. The prototype is then sent to our workshop in Peru where skilled artisans produce each piece in high-fired stoneware.